Poutine Pizza @ Brado’s Pizza – I WILL EAT YOU! 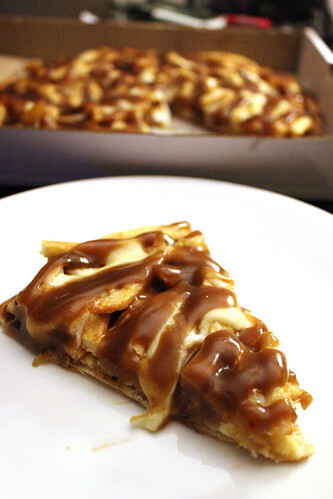 The Poutine Pizza (or their Canadian Special as they sometimes call it) is a gut busting sadness nugget consisting of crust, creme cheese, french fries, more cheese and gravy. I do not know what the caloric intake of this beast was nor do I have any desire to ever find out. Anyways: Good pizza. If you have self control issues (and you’re eating for one), maybe just order a small.